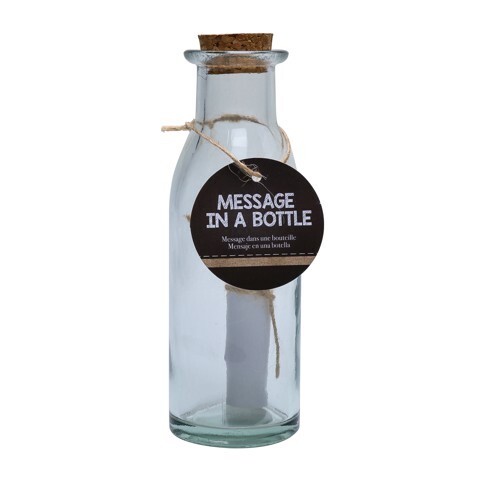 Message In A Bottle . Bottle Height: 14cm l Top Outer Dia: 3.7cm l Top Inner Dia: 2.6cm l Bottle Dia: 4.7cm. Clear Bottle with Cork Top. Glass l Hessian l Paper l String. 156g Packaging: Colour Label l 12 Pcs Per SRT.